Introducing the gorgeous Gypsy! Gypsy is a lady who knows what she likes. 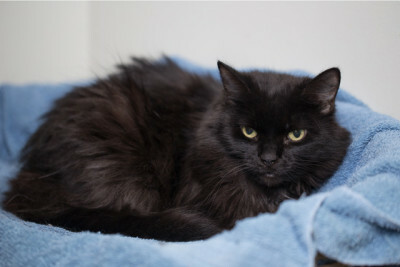 Although affectionate and adorable, she has an independent streak and will probably do best in an adult only home. Once she gets to know you, Gypsy is sure to be a fun companion. 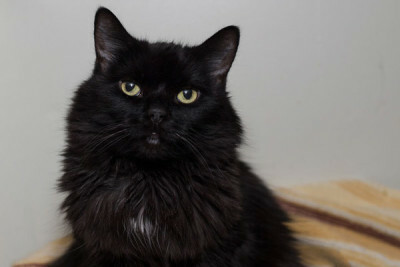 If Gypsy sounds like the right cat for you, come get to know her! 2016-02-06: Gypsy was adopted by Sinder’s parents. After Sinder passed recently, they found new love again with Ms. Presley and Gyspy, both older cats with special personalities. Per Rob, “Gypsy is doing awesome already! She is really coming out her shell in a private space… rolling around and being very loving to both Tricia and me. I think she’s so happy that she’s beside herself, honestly. And she already has a favorite toy she rolls around with! Much joy in the Whitworth house with this beauty!”.